1 Click the Sales tab to bring up the Sales worksheet. 2 For December frog sales, replace 120 with lots. 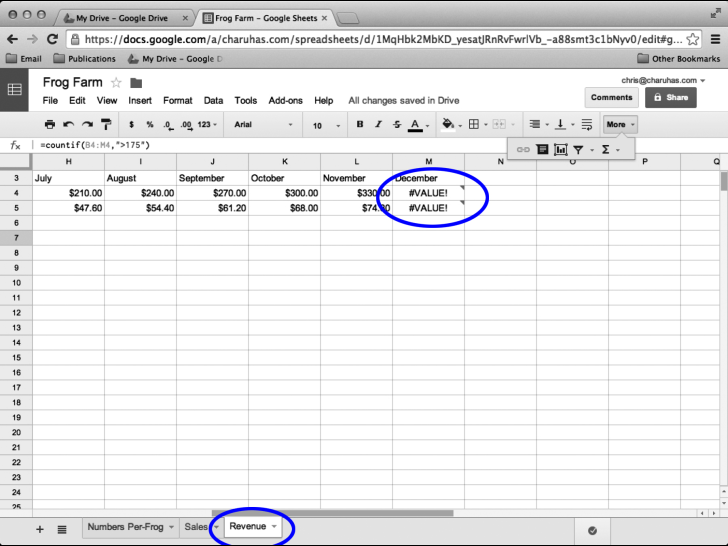 3 Click the Revenue tab to view the Revenue worksheet. #VALUE! 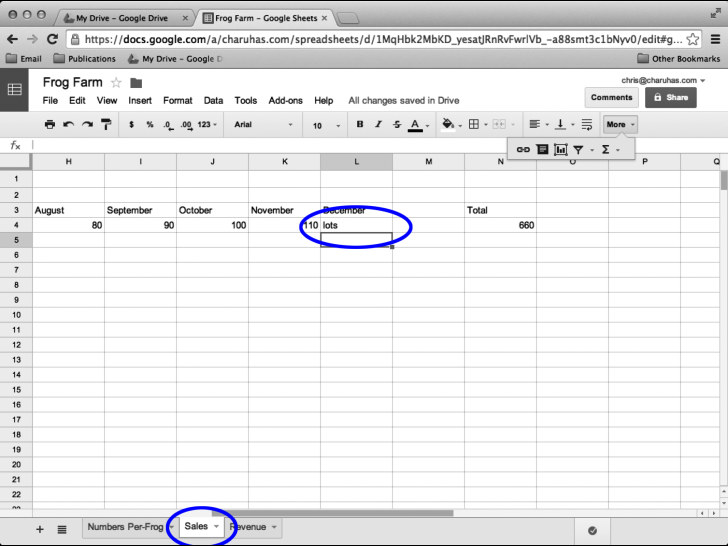 means that the formula references a text value that should be numeric.